This websmart switch is the ideal choice for networks in small and medium-sized enterprises. Able to network up to 26 devices, it offers a compelling price/performance ratio. It is equipped with 24 Gigabit Ethernet ports and 2 combo ports (Ethernet or fiber optic) and it supports a wide range of security features. The switch is operated locally via a user-friendly web interface. 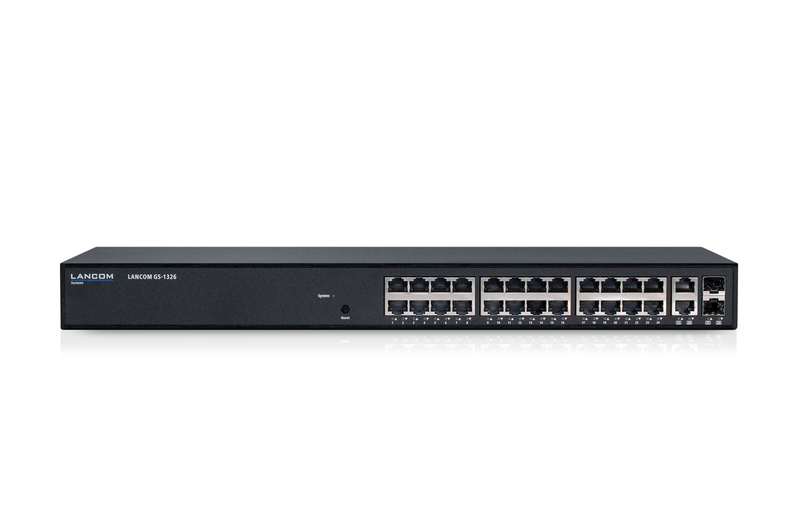 The LANCOM GS-1326 is equipped with 24 Gigabit Ethernet ports and 2 combo ports (Ethernet or fiber optics). This makes the switch a reliable basis for modern network infrastructures in small and medium-sized enterprises. 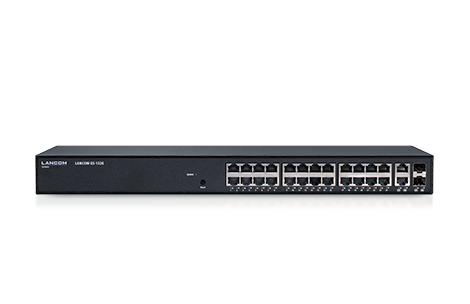 The LANCOM GS-1326 stops rogue clients from gaining unauthorized access to the network. This is ensured by secured access control on all ports as per IEEE 802.1X (port-based, single, multi, and MAC-based). The switch is managed with a user-friendly web interface. The LANCOM GS-1326 supports VLAN tagging based on IEEE 802.1q and makes it easy to assign VLANs to the desired switch ports. What's more, the incoming and outgoing data traffic is reliably prioritized with a wide range of QoS features. Thanks to the dual-stack implementation, the LANCOM GS-1326 operates in pure IPv4, pure IPv6, or in mixed networks. This means that it can be managed via both IP address standards, which makes it fully future-proof.